Provincial Government Employees and its relatives up to second degree of consanguinity or affinity are disqualified from joining the contest. All entries shall be screened prior uploading in our official Facebook account. 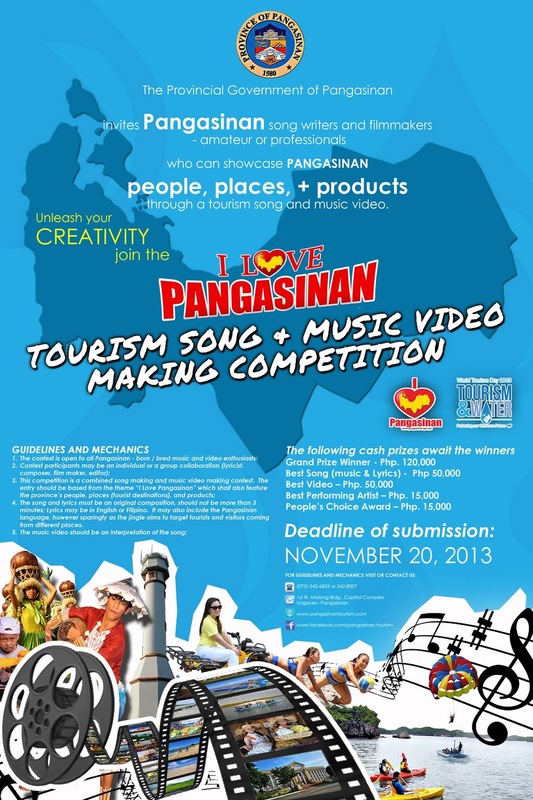 All qualified entries will be posted in Pangasinan Tourism official Facebook account where people may “like” their favorite video. Finalists will be chosen by a select panel of judges composed of qualified professionals in the music and film industry. The winners of the competition will be notified through a letter by the Provincial Government of Pangasinan and telephone call by a representative of the Pangasinan Tourism Operations Division. For the complete mechanics and guidelines, click here.